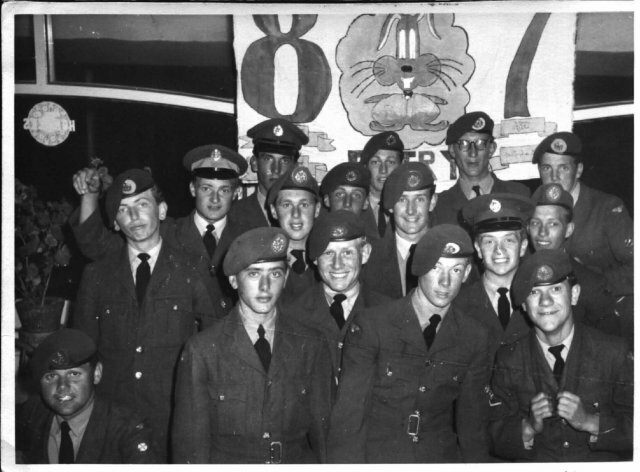 87th riggers with camp banner in a local cafe. I think that this was a cafe in Holywell Bay. When I visited the location at the 2009 reunion, it had been turned into flats. Thirteen of the sixteen are identified below.